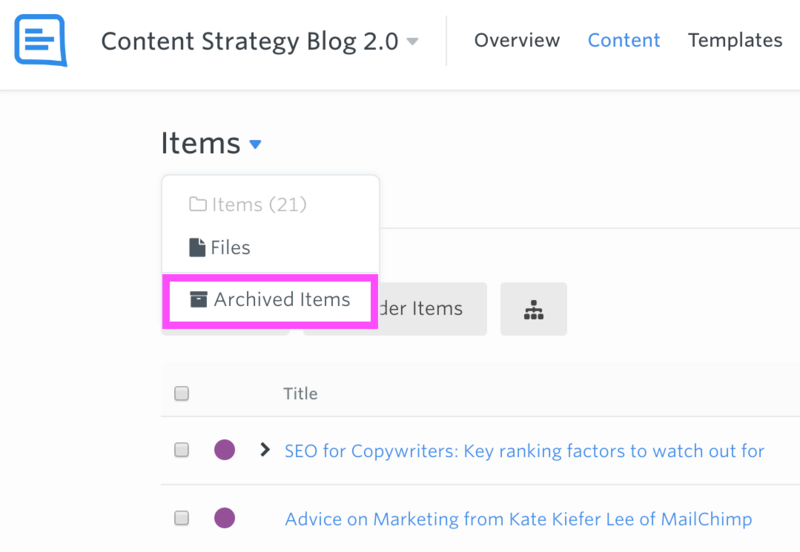 Learn how to remove an item from your content tab or from within the item itself. 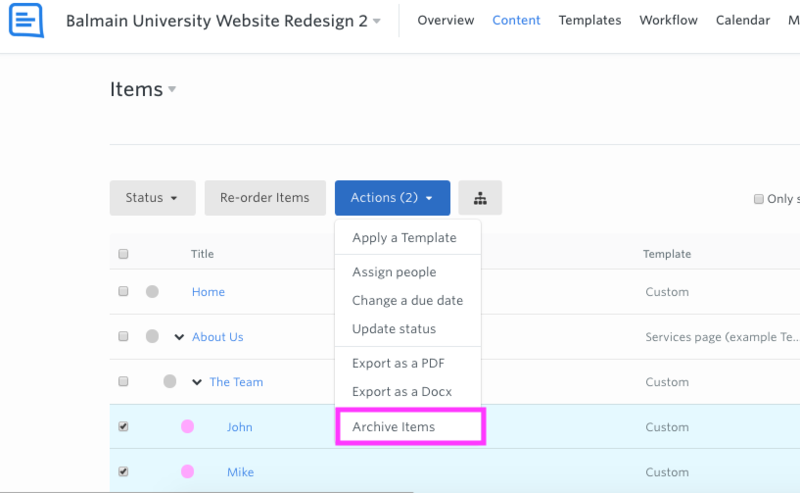 When you no longer need to see an item in a project, for example a blog post a few months after it's been published, you can archive the item. This removes it from the hierarchy of your project, and it removes the template applied to the item and all the people & due dates assigned to an item. Also an archived item does not count towards your GatherContent Plan limits. Tip: Don't see the option to archive an item? You'll need to make sure your role has permission to 'Add items'. From the Content tab, choose the items you'd like to archive. You can select several items using the checkboxes to the left. Following confirmation, the items will be archived, and moved from the items view to the Archived items view. Click the items dropdown and select "Archived items" to view the newly archived items. Please note that archiving item(s) will not send any notifications to the people who are unassigned. Want to know how to restore an archived item?